Ron Mastrogiovanni, President and Chief Executive Officer of HealthView Services, has more than 25 years of experience in management consulting, financial services and health care software design. Ron is responsible for developing the HealthView software platform, a solution-based planning system that integrates health care cost projections, Medicare means testing, long-term care expenses and Social Security optimization into the retirement planning process. Ron is President and Chief Executive Officer of HealthView Services, which he has helped guide to strong growth, leading the way to innovative new retirement planning applications. Prior to HealthView, Ron was the co-founder of FundQuest, one of the first fee-based asset management companies that provided financial institutions – including banks, insurance companies, and brokerage firms – with wealth management solutions. Ron’s strategic planning, innovative product design and general business experience led FundQuest to become one of the most successful fee-based money management solutions in the industry. Under Ron’s leadership, the company accumulated over $12 billion in assets. The company was acquired by BNP Paribas, a global leader in banking and financial services. Previous to co-founding FundQuest, Ron was President of The Parker Company, a management consulting firm specializing in technology startups. Prior to The Parker Company, he held senior sales and marketing positions in the technology industry. “A 21st Century Connection: Health and Wealth”. Ron earned his B.S. degree from Boston State College and an M.B.A. from Babson College. 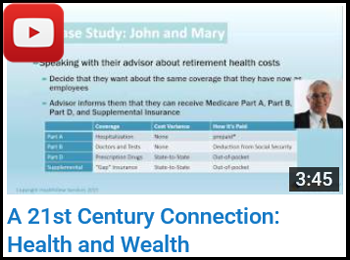 Ron is a widely respected thought leader in the domain of health care costs projections, and has co-authored several white papers on such topics as the 2015 Health Care Cost Data Report and the Impact of Medicare Means Testing on Future Retirees. 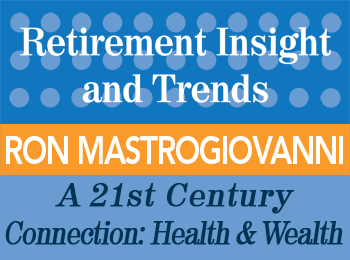 Have Ron Mastrogiovanni speak at your event! Please contact us today via email or phone 847-686-0440 x102 if you would like to have this or other speakers present at your conference or appear at one of your events, or to receive a free voucher to view a sample of one of our speakers’ work.